This year dark winter florals are a big trend and it’s the granny prints that are being seen on the runways. 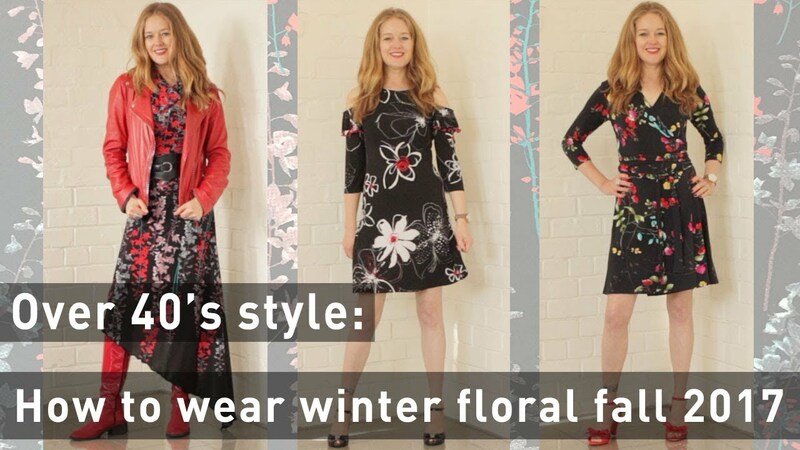 In this video I am going to show you how to wear winter florals so you don’t look like a granny, even if you are one. This year dark winter florals are a big trend and it’s the granny prints that are being seen on the runways. In this video I am going to show you how to wear winter florals so you don’t look like a granny, even if you are. As you might know, I love prints and patterns because they disguise the eye and if worn properly can make you look slimmer. So I get really excited when print is a trend. But… granny prints… I’m not that keen. Now this is the perfect example of using trend to create a look that works for you. Choose floral prints that you love. Wear it in fitted garments. Baggy clothing in floral prints can make you look like you are wearing a dressing gown. In this video you will get tips on how to wear the fall trends 2017 for women over 40, fall 2017 outfit ideas for women over 40, how to wear winter floral for women over 40, how to wear the winter floral trend for women over 40.